We’ve submitted comments to Merton on proposals for work at Cricket Green School. 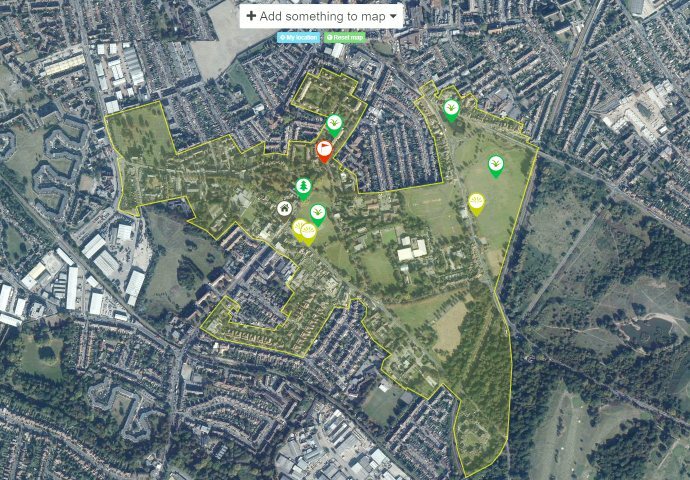 The school sits in the Cricket Green Conservation area, and is specifically identified in the draft Conservation Area Appraisal and Management Plan for Cricket Green as one which would benefit from environmental improvement to contribute more positively to the character of the area. It is in that context that we’ve made our submission. In our comments we say that there is potential for Merton to show leadership by example in how it executes changes. We’re disappointed that some aspects of the plans don’t show that leadership and set a good example for others to follow. For example, did you know there is a small, Grade II listed, remnant of the 14th Century Hall Place Chapel within the grounds of the school? Merton apparently does not, as the plans do not mention it, nor show it on the very detailed maps which have been complied. Maps which are detailed enouth to include every drainage cover on the site. One of our aims with our comments is to ensure this piece of local history is properly protected and that there is some interpretation explaining the site. At present it sits with no interpretation at all. We comment on several other aspects of the plans, and you can read our full comments here. This entry was posted in Planning Applications and tagged Cricket Green Conservation Area, Cricket Green School, Planning Applications on October 3, 2012 by mitchamcricketgreen.